Today’s laptops, tablets, and 2-in-1s might be mobile powerhouses, but there are those times when you just can’t beat a desktop. One would imagine, however, that traveling on a train limits your computer use to portable devices, though the woman with the iMac in the picture above probably disagrees. The photograph was posted on Twitter by Dave Hill, who works for VMware Cloud Services Business Unit. Originally from Middlesbrough in the UK, Hill was visiting England from his Texas home for a meeting when he spotted the Apple user. "It was the Virgin East Coast Darlington - London on Tuesday 14:58 in First Class. I had just been to the vestibule and walked past and saw the full iMac computer on the table,” he told the Telegraph. "I work for a software company, and been traveling on the trains for about 15 years, I have never seen anything like it. The lady had a full wired keyboard and mouse." It seems the passenger wanted to bring all their home comforts into the Virgin carriage; she’s also got a blanket with her. 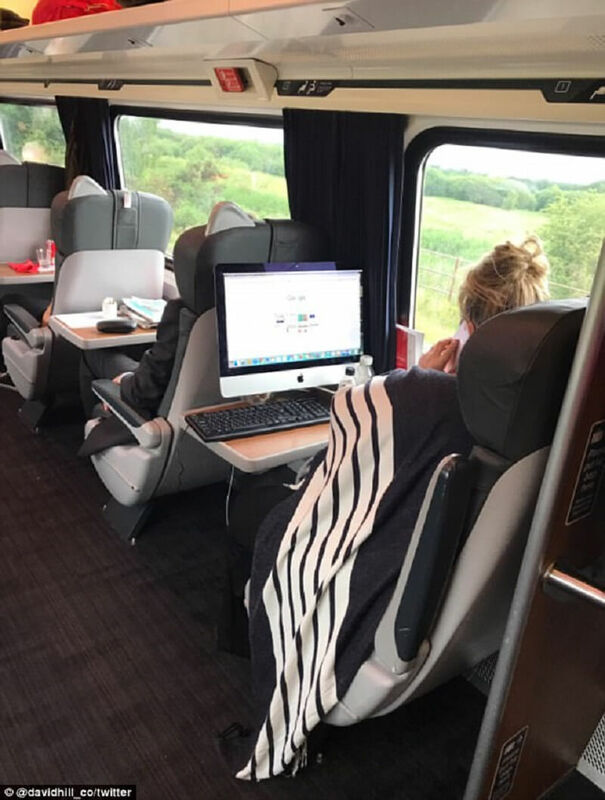 In fairness to the lady in question, many people on Twitter commented that bringing their desktops onto a train is something they’ve considered in the past. And at least it’s an all-in-one iMac that could fit in some, admittedly hefty, baggage; try setting up a PC with a Phanteks Enthoo Elite case and 34-inch monitor inside a train carriage – now that would be impressive/stupid.